One of the good features about Victoria’s fare system is the weekend cap. For only $6, you get unlimited travel within Zones 1 and 2 for the entire day. Zone 2 also extends further out from Melbourne than you might think. This makes many trips into the nearby countryside around Melbourne very cheap. 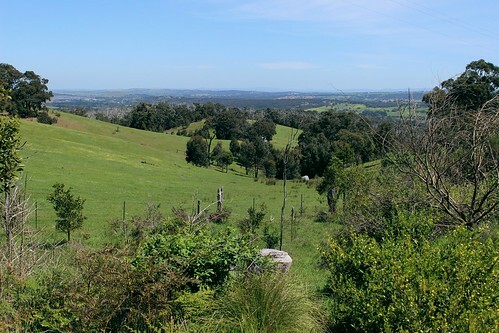 Wandong, located about 50 kilometres north of Melbourne, is one such place. 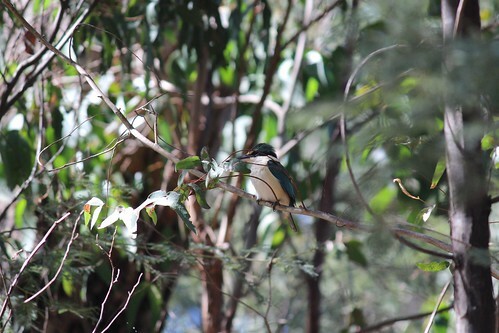 I was particularly interested to visit the nearby Wandong Regional Park. Having tried and failed to find any reasonable level of information on the internet (including ParkWeb), I was curious to have a good look around. 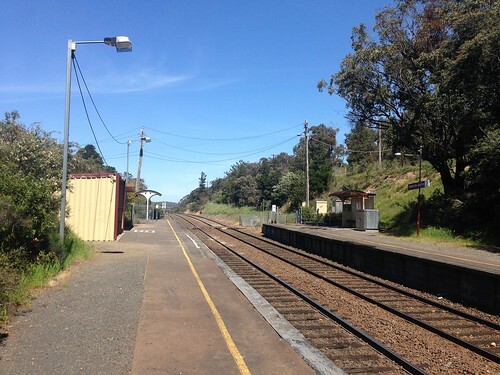 Wandong Station is a fairly standard country railway station. The pedestrian accessibility needs some work, but I suppose that you could say that about most stations in Victoria. 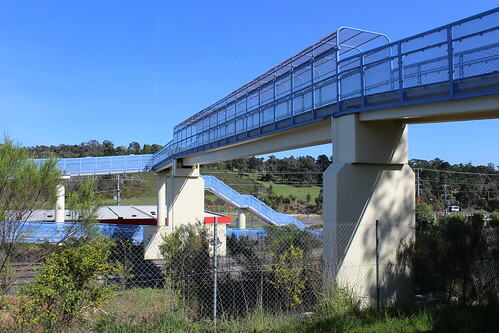 On my way to the road leading into Wandong Regional Park, I inadvertedly stumbled across the pedestrian footbridge built a few years ago. It seems to have aged quite well – there was no visible vandalism or deterioration – and it provides a great vantage point for gunzels over the two broad gauge and single standard gauge tracks. This Park’s internet obscurity seems replicated in real life. There is no directional signage to the park approaching from Wandong, nor are there any signs to indicate that you have even entered the area. The only indicators are signs asking trail bike riders to be quiet (not even sure how that’s possible) and a 10km/h shared zone sign on Dry Creek Road. The scenery here is quite different to most other places in regional Victoria that I have visited. The main difference is the type of vegetation. This entire area was devestated in the 2009 Black Saturday bushfires and there is still plenty of evidence showing the damage. 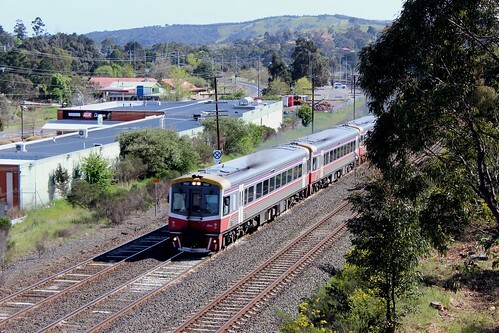 Wandong and Heathcote Junction were severely affected and only saved from being wiped out completely by a wind change. Burned out trees jut out over the newly-grown bushland and small eucalyptus saplings are scattered everywhere. It is pretty amazing to see how quickly the bush can recover from such utter devestation in just seven and a half years. 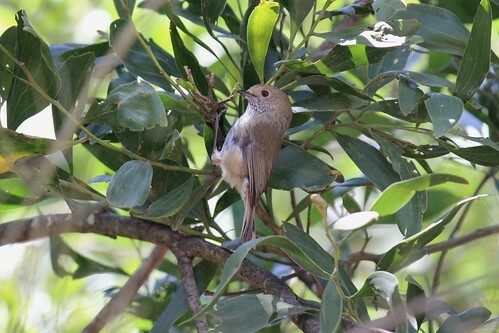 One of the other notable features of this area is the amount of birdlife. From the sights and sounds along the entire walk, there are more birds here than I have seen before in a similar setting. Everywhere you look there is some sort of bird activity. There was also a lot of evidence of other wildlife as well. Apparently there are koalas in the hills but I unfortunately didn’t spot any. There was some roadkill by the side of the track with tyre marks over them (presumably killed by some clueless moron in a 4WD going well over the 10km/h limit) including a large wombat and a wallaby. 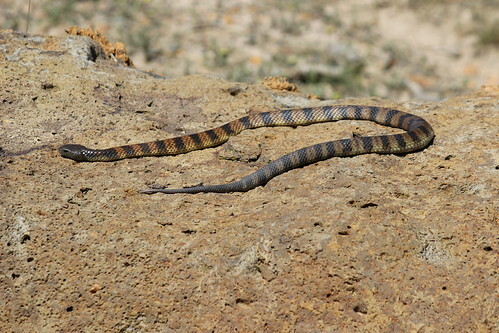 I did, however, see a few snakes, including this tiger snake sunbaking on a rock in a gas pipeline reserve. Every so often I would hear trail bikes roaring along small tracks through the forest and distant sounds of shotguns. As it is a state and not a national park, these activities are generally permitted. I followed Dry Creek Road all the way to its intersection with North Mountain Road at the top of a ridge. I was planning to walk onwards to Red Hill or another peak, but given that the plateau seemed more or less the same height, I don’t think that I would have had much of a view. The other reason that I didn’t continue further into the bushland was that the shotguns that I could hear in the distance earlier sounded much closer. According to the only detailed map of the area that I could find, deer hunting is allowed in areas of Mount Disappointment State Forest on the other side of North Mountain Road. I really wasn’t that keen to try walking through an area filled with fleeing wildlife and people firing guns, so I turned south and started walking down North Mountain Road towards Heathcote Junction. As usual, there were no facilities for pedestrians, but there was little traffic so I was able to walk on the road reasonably safely. My route back towards Wandong was a little more rushed as I didn’t want to miss the hourly train from Heathcote Junction. Nevertheless, I had time to stop and see some of the terrific views. Heathcote Junction is an interesting station. It no longer forms part of any railway junction; the branch lines that it serviced having closed many years ago. The most curious feature is that the platform cannot accommodate more than two of the N type carriages that operate along this line. In order to disembark here, an announcement in the train asks passengers to move to the two rear carriages. “And as always, make sure that there is a platform before stepping off the train”. This was a nice walk through more-or-less deserted bushland only 50 kilometres from Melbourne’s CBD. It is not the most visually interesting place to visit, but you could easily spend half a day having a good look around. There are absolutely no amenities (not even benches) and the network of paths can be confusing at times. As such, the area could use some investment and publicity to encourage more people to visit. There is a campaign to develop a new network of rail trails that would eventually connect to Craigieburn which seems like a good idea. 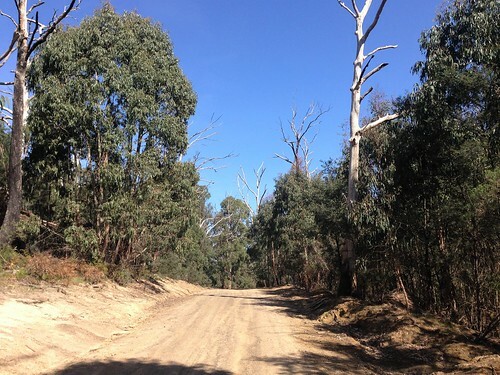 Promoting and improving Wandong Regional Park would seem a logical extension of this project. Thanks Philip I am quite interested in walking this area some time in the future. I am particularly interested in following the Plenty River to it’s source, (or sources as there appear to be two major streams one near Wittlesea and the other quite close by the area you seem to have been walking near Mt Dissapointment. Sadly it appears that large sections have been clear fell logged recently.